Who is Cybersecurity Ventures. PHOTO: Cybercrime Magazine. We provide cyber economic market data, insights, and ground-breaking predictions to a global audience of CIOs and IT executives, CSOs and CISOs, information security practitioners, cybersecurity company founders and CEOs, venture capitalists, corporate investors, business and finance executives, HR professionals, and government cyber defense leaders. 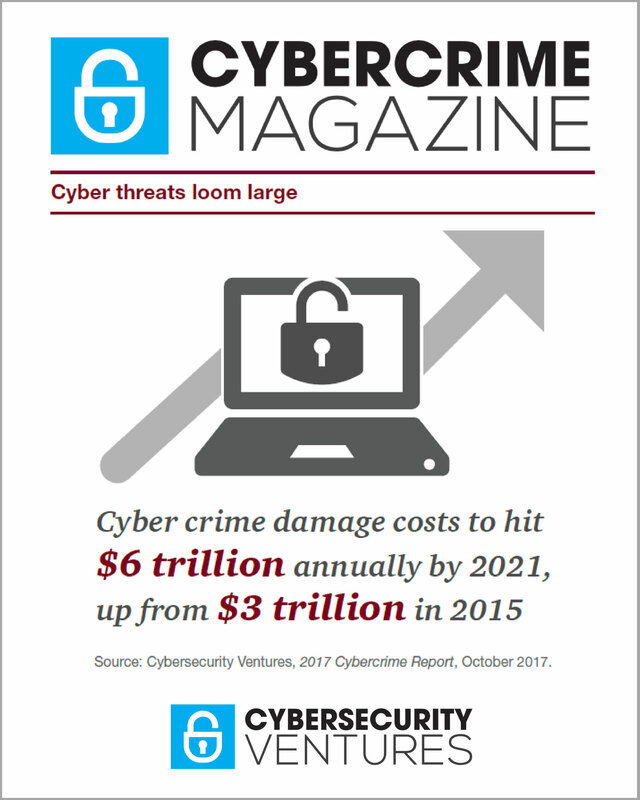 Cybercrime Magazine publishes our annual and quarterly reports covering global cybercrime, cyberwarfare, hacks and data breaches, cybersecurity market forecasts and spending predictions, publicly traded cybersecurity companies and stock performance, M&A and VC funding activity, cyber defense employment, and more. Our business model is simple. All of our content is free. We do our own ground-up research and writing (and some periodic contributions) — plus we vet, synthesize and repurpose research from credible sources (analysts, researchers, vendors, industry experts, media publishers) — and there’s no ‘pay-to-play’ on our lists or ‘advertorial’ in our reports. Cybersecurity vendors and related organizations pay to advertise on our site and media, and to sponsor our research. Visit Cybercrime Studios in Northport, N.Y.
We’re routinely featured, quoted, and cited by the top business, financial, and technology media including The Wall Street Journal, The New York Times, USA Today, Huffington Post, WIRED, CSO, DarkReading, IDG, Infosecurity Magazine, SC Magazine, Computerworld, CRN, Inc. Magazine, Fast Company, Forbes, Fortune, Mashable, Business Insider, POLITICO, The Hill, ZDNet, TechCrunch, TheStreet, CNBC, MSN, Investor’s Business Daily, The Motley Fool, and many others. Cybersecurity Ventures has offices in Sausalito, Calif., Northport, N.Y., and Ra’anana, Israel.